BLAST Pro Series: Miami 2019 is just around the corner. A total of six teams has been invited to the second BLAST Pro tournament in 2019. If we are to be honest, only the best teams made it in Florida and they are going to fight for their share of $250,000 purse. From the betting perspective, a lot of bookmakers stepped up and provided us, bettors, with great odds for BLAST Pro Series: Miami 2019. At the moment, you will be able to find the best odds at Betway and Bet365. Let’s go over the favorites and the possible darkhorse in BLAST Pro Series: Miami 2019. First of all, Astralis is looking as good as they can be. At the moment, there is no one who is capable of stopping them, but this got to stop soon. Even though it is most likely that they will stomp everyone in the BLAST Pro Series: Miami 2019. However, you can see that odds on Astralis to win BLAST Pro Series: Miami 2019 are abysmal. From my perspective, I would avoid betting on Astralis to win this CS:GO tournament since there is not a lot of value in this bet, especially once they are matched against teams like Liquid and Natus Vincere. On to the potential darkhorse of this event. If you are following Esports and CS:GO professional scene, you probably know that Natus Vincere just won StarSeries i-League Season 7. Not only did they win this tournament, but they also dominated everyone who stood in front of them. Teams like fnatic, Renegades, and ENCE all fell short once they were matched against the Ukrainian CS:GO organization. I see a lot of value in Natus Vincere in BLAST Pro Series: Miami 2019. Let’s not forget that their star player, s1mple, broke a lot of records in the StarSeries i-League Season 7. 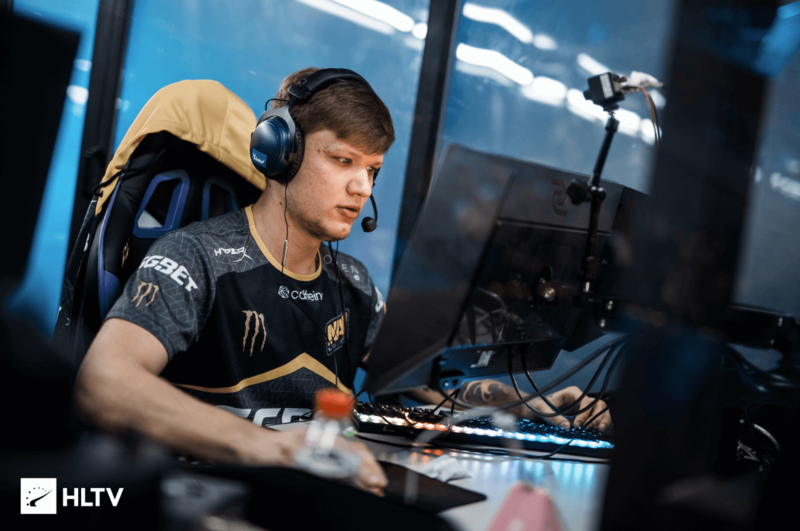 Alongside s1mple, electronic has looked solid as well. To be honest, if s1mple did not play on such a high level, I am sure that electronic would have won the MVP award for his performance. All in all, if both s1mple and electronic can keep playing on such a high level, Astralis could find themselves in a whole world of problems. You can probably see where we are going with this outright winner prediction. Given the fact that odds are so high, we here at Esports-Betting.pro have to favor Natus Vincere to win BLAST Pro Series: Miami 2019. BLAST Pro Series tournaments use a very unique format. Firstly, there is only one group where all 6 teams are placed in. This group is usually called the Round-Robin group. All of the matches have already been defined, and all of those matches are played in a best-of-1 format. This means that only the best two teams will advance through to the grand final of BLAST Pro Series: Miami 2019 where they will compete in a best-of-3 series. Below you will be able to find all the match-ups for the group stage of BLAST Pro Series: Miami 2019. We already mentioned that the top two teams from the group will advance through to the grand finals where they will fight to win $125,000. However, the third-placed team is going to pick their opponent for the BLAST Pro Standoff. If you are wondering what in the hell is this, make sure to read this. As you can see, these aim duels will be fought with the most popular weapons that CS:GO can offer. The first player to 7 kills will win their match. However, it is important to keep playing and not give up since there is a chance for a tie here. If that happens, the team with the most kills is going to win. Alongside reputation, the winning team will be awarded an additional $20,000. You could have already read about the prize pool above, but let’s go over it once again. 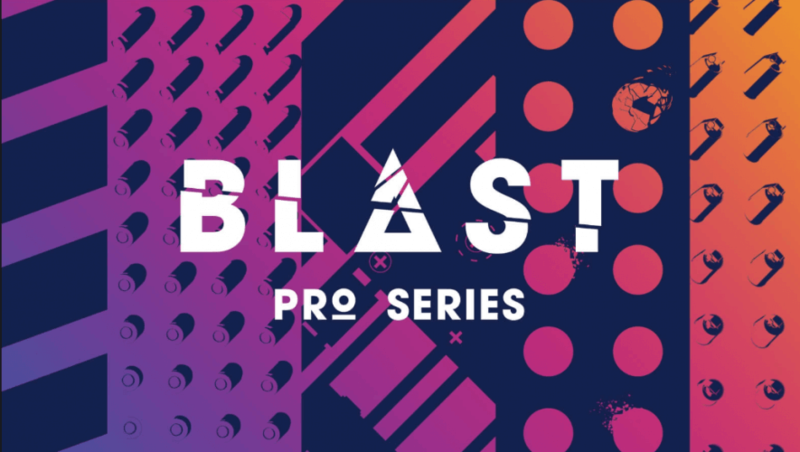 BLAST Pro Series: Miami 2019 has a total of $250,000 prize pool which is split between six teams. $230,000 is shared for placements, while the remaining $20,000 is awarded to the BLAST Pro Standoff winner. Below you can find the full prize pool structure. Where to Bet on BLAST Pro Series: Miami 2019? Almost every Esports bookmaker is covering this tournament. However, not all of them are providing you with high odds. In fact, there are only two bookmakers stepped up and provided us, bettors, with crazy odds for BLAST Pro Series: Miami 2019. One of the main sponsors of BLAST Pro Series: Miami 2019 decided to up their game in this tournament and beat the competition. They were very successful with this. If you are to compare Betway odds with other Esports and CS:GO bookmakers, you would find a huge gap. If you are into Esports betting or betting in general, you have probably heard about Bet365. This is probably the most popular bookmaker in the world. Well, for BLAST Pro Series: Miami 2019 they decided to go head to head against Betway. Even though they are not offering higher odds than Betway, there are definitely on a similar level with them, at least for this tournament. Where to watch BLAST Pro Series: Miami 2019? Once again you will be able to enjoy the casting of Anders, HenryG, ddk, and James Bardolph. If you are wondering where will you be able to watch BLAST Pro Series: Miami 2019, we got you covered. You will be able to watch all of the matches right here on our website. If not, you can also watch all the games live on Twitch.tv, mega-popular streaming and broadcasting platform that is used by every popular Esports tournament out there. At the moment, Danish CS:GO roster is heavily favored to win BLAST Pro Series: Miami 2019. However, betting on them holds no value and from my perspective, they must lose eventually. But still, betting on them is probably your safest option. Astralis has been on a terror in early 2019. They have already won several big tournaments, including IEM Katowice 2019 Major. Alongside a Major trophy, Astralis was also able to net themselves BLAST Pro Series Sao Paulo 2019 trophy as well. However, they fell short in the iBUYPOWER Masters IV grand final, where they were edged out by Liquid. This North American CS:GO organization is coming to this tournament with a couple of new players. So far in 2019, Cloud9 has already made around 10 roster changes, and this is definitely going to affect them. Let’s not forget that this organization won a Major, and now they are out of the top 100 and they are not getting back to the top 10 anytime soon. From the betting standpoint, betting against Cloud9 is the smartest option. They simply have no chance against teams like Astralis, Liquid, and Natus Vincere. In my personal opinion, Cloud9 is probably going to be the last placed team in BLAST Pro Series: Miami 2019. The first two matches for Cloud9 will probably determine their faith in this one. Firstly, they are matched against Astralis, secondly, against Liquid. I do not really know what to say about FaZe. At the moment, they are in a huge slump and it feels like they are unable to shake it off and perform on a high level. Most of their plays are based around NiKo killing everyone. Even though this is a strategy that can work against weaker teams, there is no way that FaZe is going to hurt Astralis, Liquid or even Natus Vincere with this approach. The best advice I can give you when it comes to betting on FaZe is to never place a max bet on these guys. They are well capable of beating all of the teams here, but they are also very capable of being 16-0’ed by Cloud9. All in all, a very unpredictable team that lacks a proper in-game leader, and probably a couple of fresh faces. On paper, Liquid should be the second best team in BLAST Pro Series: Miami 2019. However, I believe that Natus Vincere is definitely in a better form and that they have a reasonable chance of beating Liquid. You probably know that Liquid was always in the second place because of Astralis, and I do not think that this is going to change in this tournament. Liquid simply does not have what it takes to beat Astralis, and if they are not on their A game against Natus Vincere, they might find themselves without a grand final in this one. However, in the BLAST Pro Series Sao Paulo, Liquid was able to steal a map from Astralis, and they definitely need to build on that. If you want to be the best, you have to beat the best, right? Alongside Cloud9, MIBR is definitely the worst team here. Even though all of us were expecting a solid performance from the Brazilians now that they have reverted back to the full Brazilian line-up, we were fooled. Coldzera and co. are nowhere to be found in 2019, and this could be the last chance for them. I believe that this team is going to crumble under the pressure, and if they go 0-5 again, roster change is imminent. From the betting side of things, avoid betting on MIBR at all costs. At the moment, they are sitting on one victory in their last 10 matches. However, there is a decent value on Cloud9 against MIBR, if you are brave, you could be rewarded. This Ukrainian CS:GO organization is coming off from an excellent tournament in China. They were able to beat everyone there and lift StarSeries i-League Season 7 trophy. We already briefly mentioned that Natus Vincere has a chance to win BLAST Pro Series: Miami 2019 and we stand by our words. S1mple and electronic are on fire at the moment, and these two guys are able to defeat the best teams on this tournament themselves. However, Zeus will also have to be on point with his calling if they want to have a chance against Astralis and Liquid. I also strongly believe that teams like MIBR, FaZe, and Cloud9 have nothing on Natus Vincere, and these three matches should net them three easy victories.